This year the Armour Insurance Lethbridge branch was recognized as one of their top 10 brokers and given a cheque to donate to a charity of our choice. After some deliberation we decided on the Lethbridge & District Humane Society. We would like to recognize the Humane Society for all of their hard work in finding homes for abandoned, stray and previously owned animals in our community. They are primarily a volunteer run organization and do not receive regular government funding. 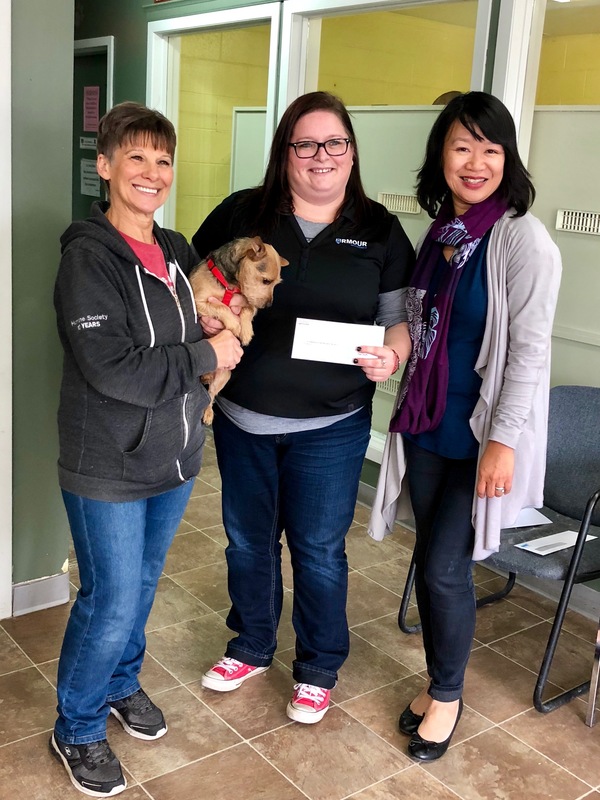 Barb, from the Humane Society is seen in the photo above accepting the donation from Carri Schock, an Armour Insurance Commercial Broker, and and Fawn Mah of SMI.